Well, it's here. The holidays. And it's time to get shopping. Statistics prove that people who do last minute shopping spend 15% more, so start early, and here are some ideas for foodies and gourmands alike. All of these items are $100 or less - let the shopping begin! 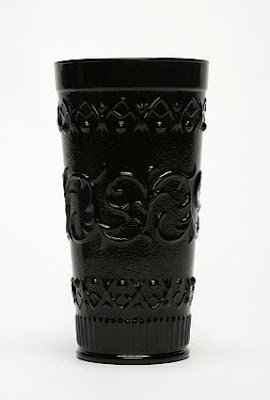 We love these black textured glass tumblers - they would looks absolutely fabulous on a table for a dinner for 8. They would be especially fabulous with the silver champagne flutes grandma has promised us, on a table covered in dark red flowers and candles. Lucky for your wallet, these tumblers are $10 each. This vintage penny candy jar is $98 - and would look stunning filled with papabubble candy, a few pounds of lemons, glass holiday ornaments, or a string of red Christmas lights. 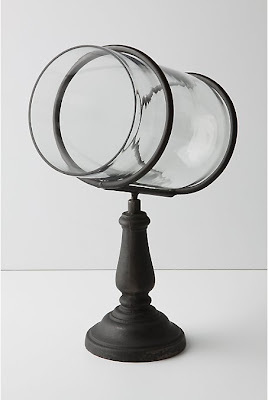 These are also a great vessel to put your daily essentials - sunglasses, keys, a collection of red lipsticks, or perhaps a collection of correspondence cards from nights out on the town. Finally, every baker needs a proper place to present her achievements. These are the most glorious cake stands around; colorful, fun, and guaranteed to make any sugar deprived soul giddy in anticipation. 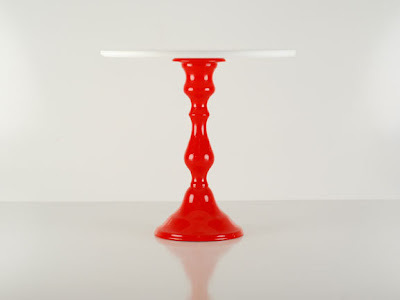 Designed by Iacoli Mcallister out of Seattle, this red beauty is $90 of pure joy. They come in other equally delightful colors such as Aquamarine, Magenta, Orange, Yellow and Purple, for those of you who are not as red crazed as I.